« Helmet your style », operation « 3000 € for 30 helmets ». The « Helmet your style » project aims to bankroll 30 helmets for the young surfers (Under 12 years old) form the Brittany surf school of Fort-Bloqué (Morbihan department). Thus, it will be the first surf school in France to equip helmets, which will help to raise the awareness of young surfers, their parents and other practitioners to the risks associated with surfing practice. Since 10 years, surfing practice increased considerably in Brittany, especially among the youngest surfers. Unlike the other board-sports, we observe a delay in taking into account the protection and prevention measures around the surfing practice. However, we observe a lot of surfing spots where the cohabitation between the different supports becomes difficult. Thus, many surfers are exposed to the risk of collision with their own boards, but also and especially with those of others. Youngest surfers are both the most exposed and the most fragile. Recent accidents highlight the need to protect our young surfers in the context of their practice and more specifically their heads. Indeed, the major part of accidents affects the head and can cause traumas that can lead to drowning. Many sliding sports have already take the course of the helmet wearing. No one is surprised to observe a skier, a cyclist, a kite surfer, etc., wearing a helmet. It became an act of normal protection and well anchored in mentalities. The aim of this "Helmet your style " project is to contribute to change attitudes in the context of surfing practice. Begin by raising the awareness of the youngest surfers who practice their sporting activity in a school that wishes to carry this message of prevention, will help to change mentalities. The democratization of helmet wearing as a part of the surfing practice will take time! This is the first operation of this type carried out at the national level and we wish to make Brittany, the place of the prevention of risks related to nautical activities. 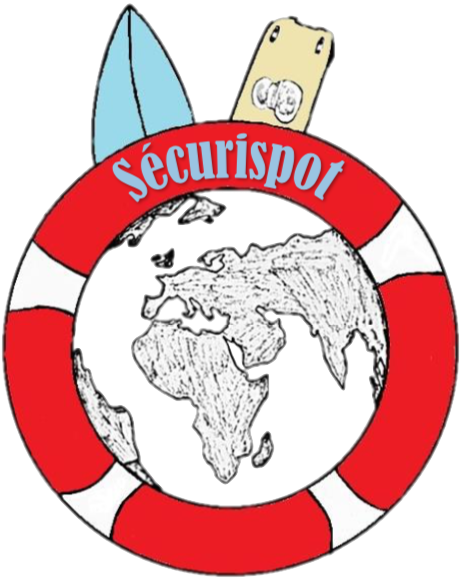 This project is supported by the SECURISPOT association, specialized in the risks prevention related to the extreme nautical activities. To secure the extreme nautical activities into the places of sportive practice. To assess risks and propose prevention measures during the sportive contests. To finance prevention operations for the Surf School. The operation "3000 € for 30 helmets" is part of the project "Helmet your style" led by a student group of the HSE department of the IUT of Lorient and supervised by G. MOREL, academic tutor and president of the SECURISPOT association. This operation meets the fourth objective of the association which aims to fund prevention actions for surf schools. In this context, the Brittany Surf School of Fort-Bloqué has been selected as a partner because it wants to promote prevention actions and in particular the helmets wearing for young surfers under 12 years old. The INNEOLAB agency based in Ploemeur (www.Inneolab.com) is also a partner by contribuing to the counterparts of donations. INNEOLAB gave some NOZEBUMP as gift. This safety equipment protects the surfer in the event of a collision with the sharp nose of his board. Whatever your donation, SECURISPOT association and the project team thank you very sincerely. On behalf of young surfers, THANK YOU and see you in June for the distribution of helmets to the Brittany Surf School of Fort Bloqué. 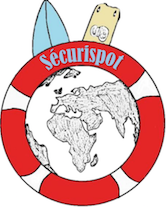 SECURISPOT association, specialized in the risks prevention related to the extreme nautical activities. 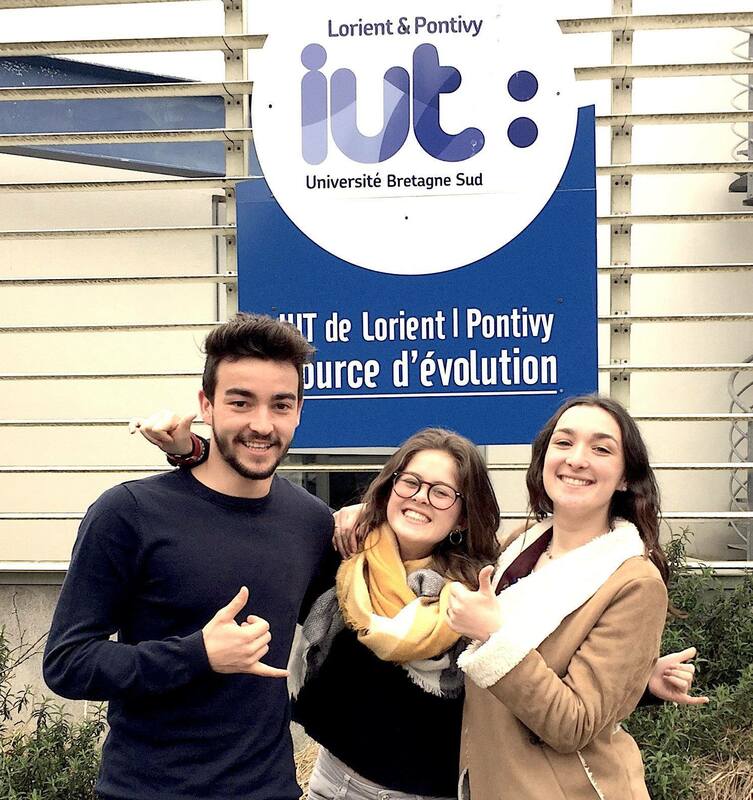 SECURISPOT is located into the Health & Safety department at the IUT of de Lorient. A professor assistant of this department is the president of SECURISPOT. Members are students from this HSE department. This funding will permit to acquire 30 helmets for the young surfers of the Brittany Surf School Fort-Bloqué. Find news here very soon! Your contributions will be automatically refunded if the project does not reach its target. Many Thanks from the Team ! LEVEL 1 + A sticker from ESB-Fort bloqué. LEVEL 3 + A NOZBUMP of your choice from the KAOLINS compagny to protect the surfer from the nose of his board (www.kaolins.fr). LEVEL 5 + A surf session filmed by Drone on the spots of Guidel, Loch, Fort-Bloqué (Choice). Delivery of a video film for social networks.